Rent a meeting room in a Design hotel I My Design Events I Who are we? MY DESIGN EVENTS - WHO ARE WE? We helps you to hire a meeting room or a design venue in boutique and design hotels. 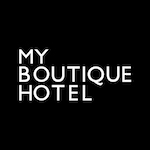 For conferences, a seminar in Paris, London, Barcelona, Lisbon, try boutique hotels. We have collection of design hotels for meeting and seminars.